២ What’s a “standard account” versus a “non-standard account”? ៣ Can you give me some examples of types of cookies and how you use local storage? ៤ What are some options I have to limit use of locally stored data on my device? 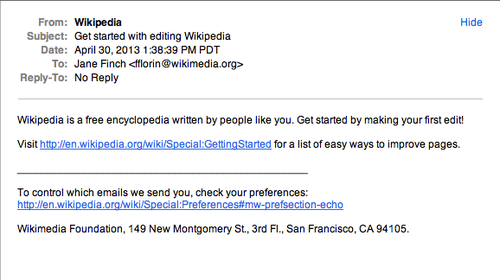 ៥ How do I email within the Wikimedia Sites and how do I change what notifications I get? ៦ Can you give me an example of how you use GPS and other location technologies to show me more relevant content? ៧ What do you mean you “infer my geographical location”? And why do you need to do that? ៨ What are some examples of when I would give you permission to share my information? ៩ What are some ways that you may use or share user information, such as to investigate, enforce, or defend the Wikimedia Sites and policies? ១០ Can you give me some examples of when you would share my information with third-party providers? ១១ What information is revealed when I click a link on a Wikimedia site that takes me to an external third party site? ១២ What is the risk of re-identification? 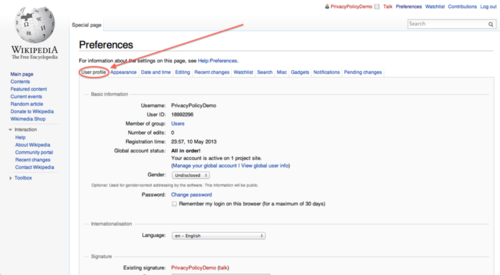 ១៣ Does the Wikimedia Foundation use HTTPS on its sites? ១៤ What are some examples of how long you keep my data? ១៥ Is there a community body in charge of investigating alleged privacy violations? ១៦ There is outdated or inaccurate information about me on a Wikipedia article! How do I update my information? ១៧ What are Do Not Track (“DNT”) signals and how does the Wikimedia Foundation respond to them? ១៨ I thought I never needed an account to read or contribute! Under what circumstances would I need to register to read or contribute? ១៩ Can you give me some examples what kind of information is available through public logs? 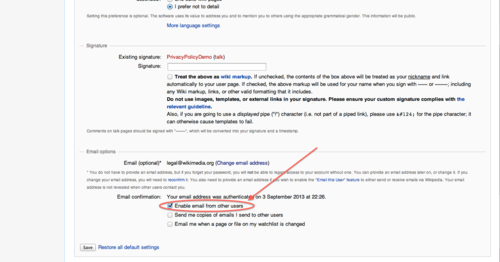 ២០ Can I delete and/or anonymize any content I post on any Wikimedia Site, if I don’t want to be personally identified? If so, how?